It’s hard to believe it now, but there used to be a time before mp3 players. There was a time before phones could hold a bazillion songs inside them. Why, there was even a time before CDs! Let’s take it back to 1985, one of the greatest years on this planet we call Earth. In 1985, you could carry around your boombox to share your music with the world. Now, you couldn’t fit this strange device inside your pocket and you actually had to carry it on your shoulder, which served two purposes. First, it made you look like one cool mamma jamma. 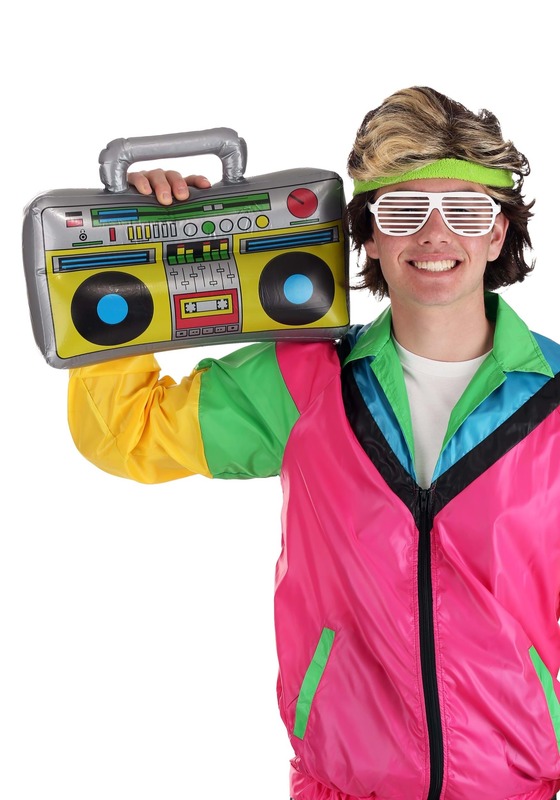 Everyone knew that you were on top of your game when you strolled through the streets jamming some Grandmaster Flash on your boombox. The second reason for carrying it on your shoulder was the fact that you could aim the sounds. Just point the speakers in any direction and it turns the scene into an instant dance party. 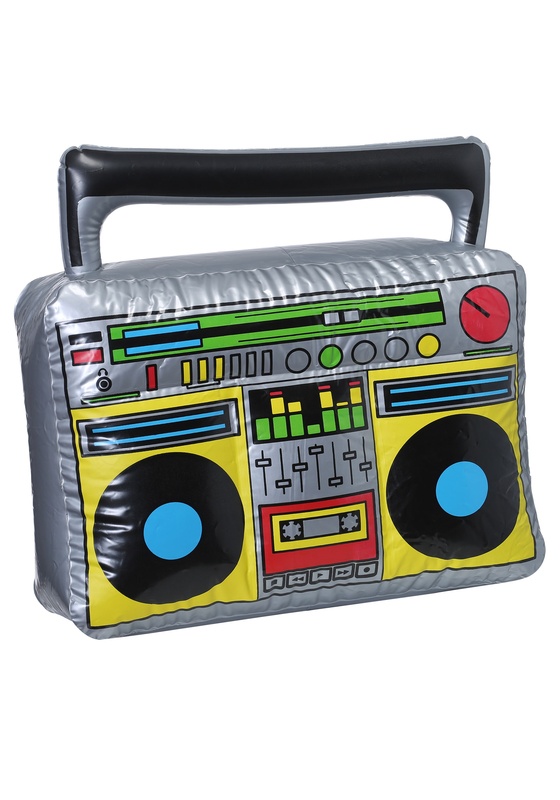 Of course, few of these actually exist in the wild these days, but this inflatable 80’s boombox accessory recreates the incredible historical device. Just blow it up, place it on your shoulder and then you’re ready to reenact the best decade in the entire history of mankind.